Sagada is the 5th class municipality in the province of Mountain Province, It is located 275 km. north of Manila, in the middle of the Luzon islet, 140 km. from Baguio, and it is adjacent to Bontoc, the provincial capital. It can also be situated in a basin at the upper end of the Malitep tributary of the Chico River of about one and a half kilometers above sea level in the central Cordillera; enveloped between the main Cordillera Ranges and the Ilocos Range. 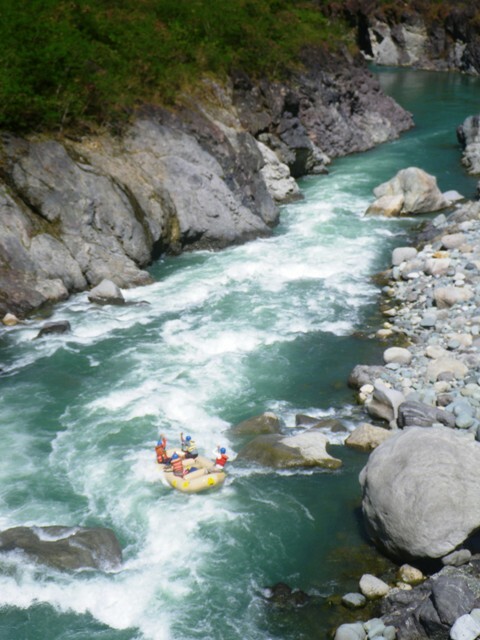 White water sports in the area are dominated by the Upper Chico River, the section of the Chico in Mt Province, and all commercial rafting in the Sagada area is done on the upper Chico. Other rivers are available for experienced kayakers. 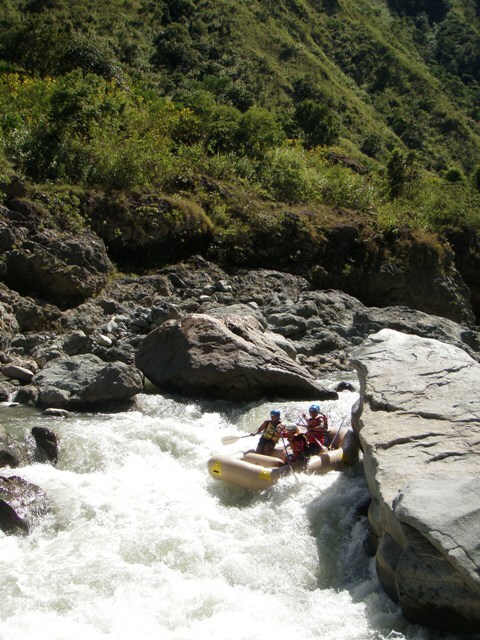 The Upper Chico is noticeably different from most commercially rafted rivers in the Philippines: because rafting in the area is done on the uppermost sections of the river, high in the mountains, the water tends to be constricted and technically demanding, bringing the sport to a new level of excitement! Six sections of the Upper Chico are accessible from Sagada or Bontoc; the river sections are located in the municipalities of Sabangan, Bontoc, and Sadanga. 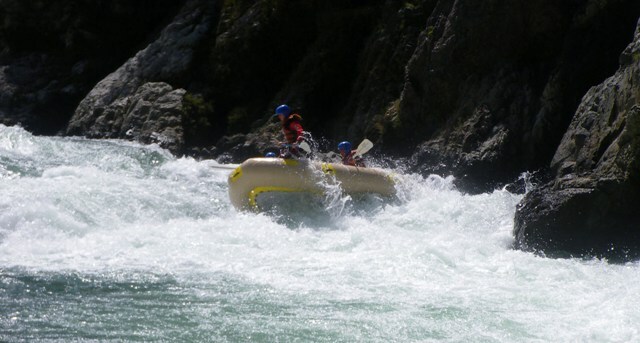 The white water season usually runs from late June to early January, with different sections being rafted in different water conditions. The Sabangan run starts in Sabangan and ends in Dantay, the road junction going to Sagada. This is primarily kayak water, and in its season offers an exceptional level of paddling for experienced kayakers who want to avoid extreme exposure and focus on a safe but challenging scenic run. Class 2 to 3+ rapids are nearly continuous throughout the roughly 9km of this section. This area is only open to rafters in very high water. The Dantay run starts in Dantay and ends in Bontoc, the capitol of Mt Province. 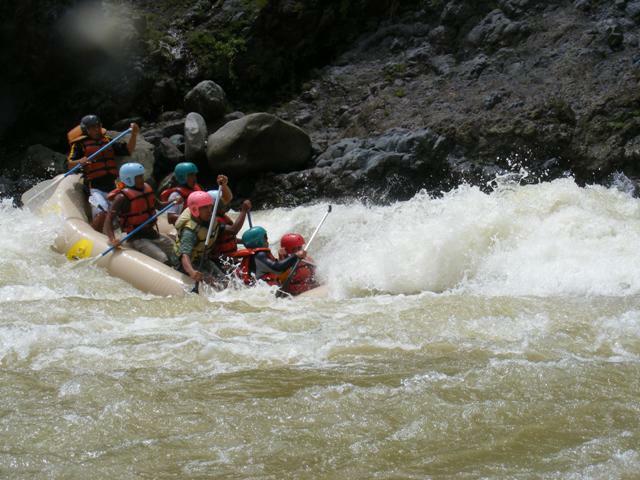 This section is used for commercial rafting when high water makes the sections downstream from Bontoc a little too exciting; in these conditions it offers fun continuous class 3 boogie water with several standout rapids. At lower flows the section is popular with less experienced kayakers. The Bontoc run begins in Bontoc and ends at the confluence of the Chico and Talubin rivers, downstream from barangay Tucucan. Below the shallow Bontoc gravel bars the Chico narrows abruptly into a constricted gorge with considerable gradient. 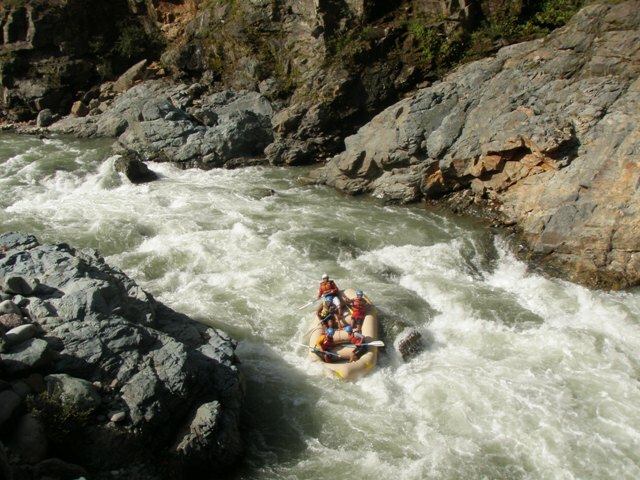 This advanced section offers numerous class 4 rapids including Domay�s Drop, a 12 foot pourover that provides a jolt of excitement even to jaded international rafting veterans. Raftable only in high water, this technically demanding section demands light rafts and coordinated work from paddlers. Kayakers will need a bombproof roll and solid technical skills. The Confluence run starts at the Chico/Talubin confluence and runs to the gravel quarry at Gawa. The Talubin brings in a substantial amount of water, allowing more consistent rafting than in the upstream sections, and this is the section most commonly run at medium to high flows. This half-day section starts right off with a long, involved class 4 technical rapid and follows on with a series of exciting drops and fantastic scenery. This run is often combined with an afternoon at the Mainit hot springs for a full day adventure. The Gawa run is from the Gawa gravel quarry to barangay Anabel. 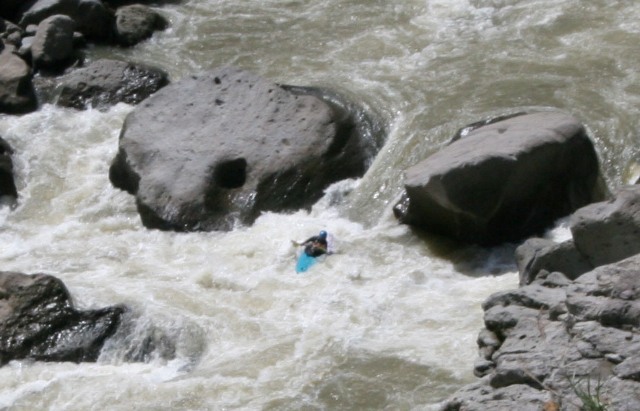 This short but demanding section offers a number of technically demanding class 4 rapids, and rafters who want to raise the thrill level can join it with either the mellower Gawa or Anabel runs. The Anabel run takes paddlers from barangay Anabel to a takeout just above the Kalinga border. This section of river flows in a deep canyon in a tightly channelled bed, making it raftable late in the season. The scenery is extraordinary and international guides have compared this section to Colorado�s Royal Gorge, one of the world�s most highly regarded raft trips. The Anabel run offers an ideal progression of rapids, from a convenient flat water warmup section to a mild class 2 section to a long stretch of exciting class 3 to 3+ water, with an eye-popping class 4 rapid at the end.